'Mr. 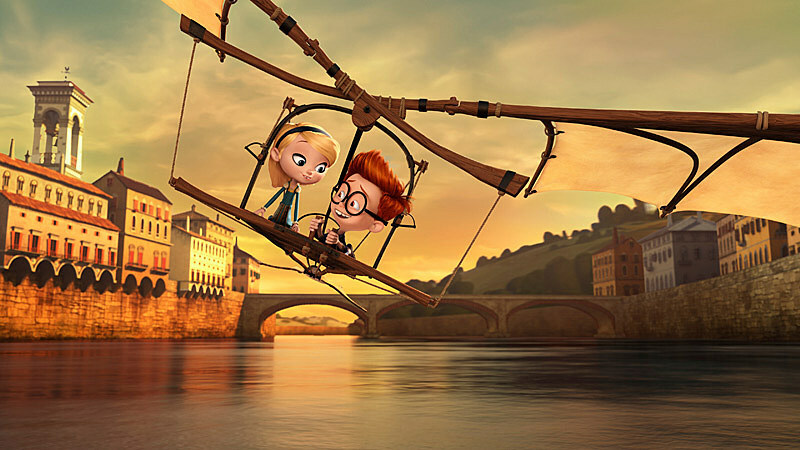 Peabody & Sherman' are perhaps known for their small screen exploits on the 60s TV series 'Rocky and His Friends' but DreamWorks is about to introduce the time-traveling duo to a whole new audience with a big-screen adventure. 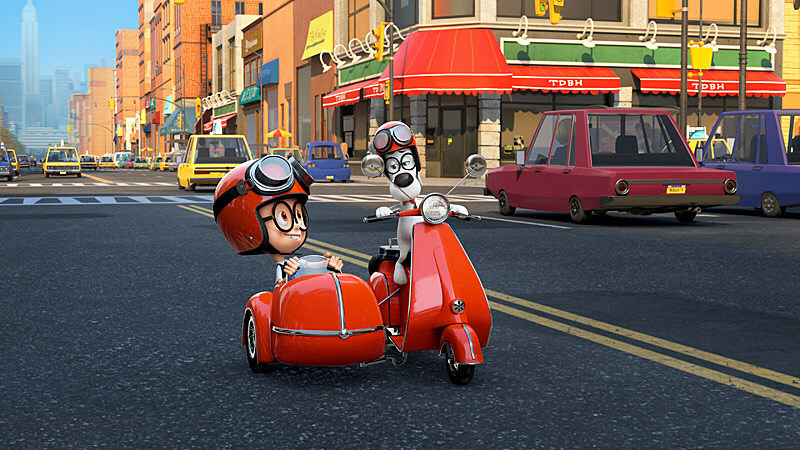 Today, we get a first look at the CGI-animated film starring Ty Burrell and Stephen Colbert. When Sherman's use of their time traveling WABAC machine results in disastrous and comical results, it is up to them to put things on track before the space-time continuum is irreparably destroyed. 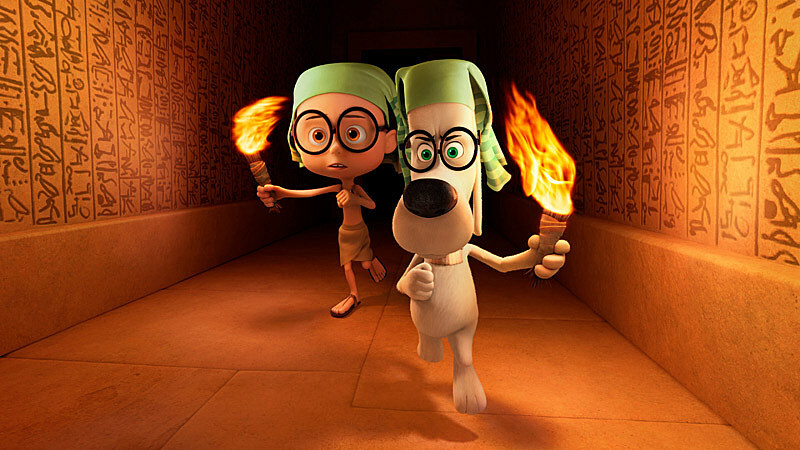 The film stars Burrell as Mr. Peabody (he replaced Robert Downey, Jr. who was originally announced to star) and Stephen Colbert as his nemesis Paul Peterson (new to the cartoon). Also on board for the movie are Burrell's 'Modern Family' co-star Ariel Winter, Leslie Mann, Alison Janney and Mel Brooks as Sigmund Freud (!!). 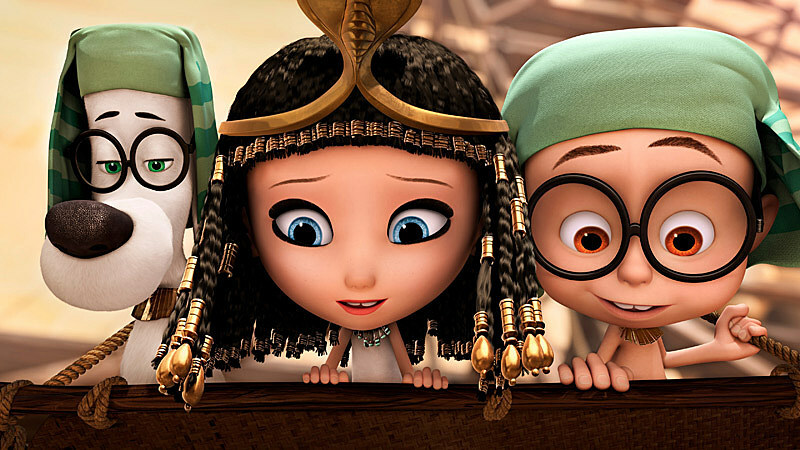 Check out a first look at the new photos below (via USA Today) and keep your eye out for 'Mr. 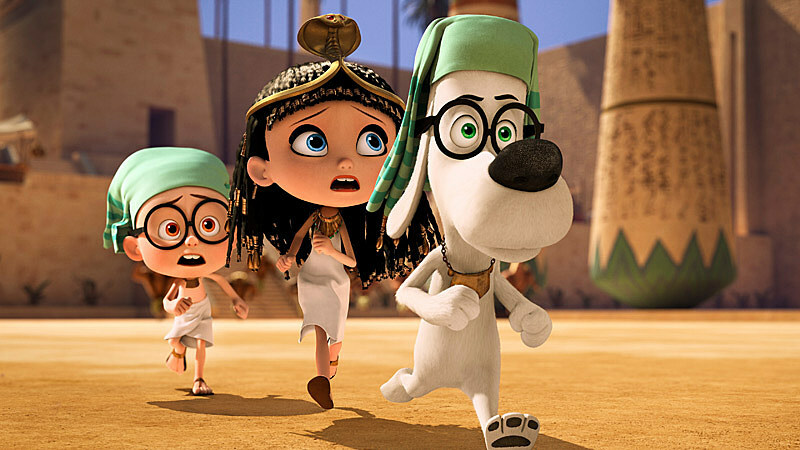 Peabody and Sherman' in theaters on March 7, 2014.